We were having vegan guests this year for Christmas breakfast, so I wanted to make something special. I am veggie myself but it gets tricky when you cannot bake with egg – this is something I had never done before. 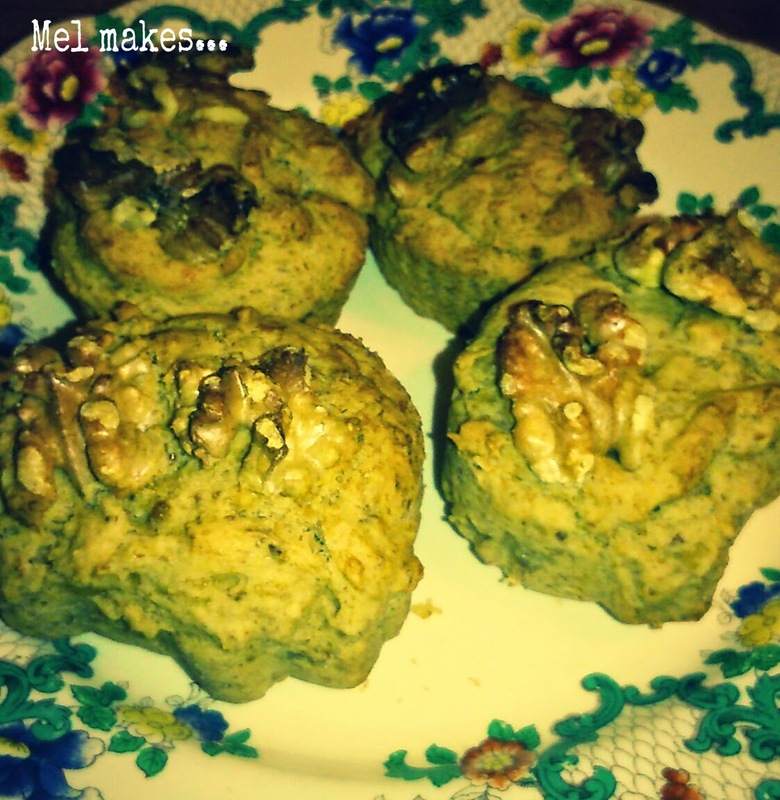 I did some research about vegan breakfast muffins, looked at a few recipes and in the end decided to try this recipe from Minimalist Baker for Banana Nut Muffins. It’s a really helpful blog and there is a link giving instructions about how to make a flax egg too – it’s very quick and easy. A couple of days before I did a trial run for Christmas day and the muffins turned out really well – a little to my surprise as a novice vegan baker! I was so excited at their success that I had to tell The Yogi Vegans, who then kindly asked me to write this post as a guest spot on their blog. One of the first questions they asked me was did you take a picture of the muffins? To which my response was, yes, of course… and on a vintage plate no less! Preheat the oven to gas mark 3 (170C) and lightly butter two small ramekins with non-dairy butter. Prepare a flax egg and set aside. In a bowl mash the banana, leaving some texture. Add the brown sugar, baking soda, salt and stir for one minute. Add the flax egg, vanilla essence, melted butter and stir. Divide the mixture evenly into two ramekins*** and top with walnuts. Bake for 25-30 minutes or until tops are golden brown and until a knife comes out clean. Let them cool for a few minutes, remove from the ramekins and serve warm. *I am wheat and gluten free, so I used Asda's own Free From self raising flour blend and it worked very well. 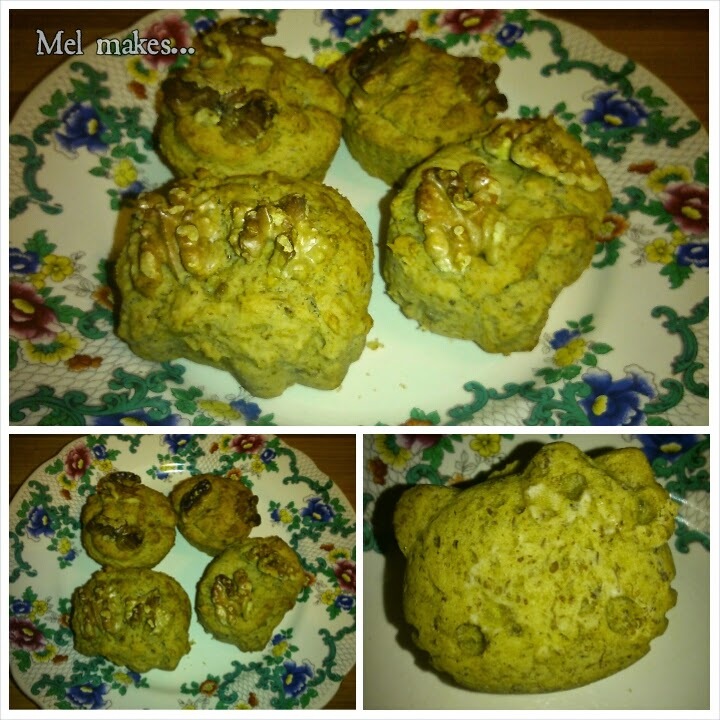 **I used Vitalite - a dairy free margarine substitute. ***At this late stage I realized I didn't have muffin ramekins! I used cup cake cases and my Hello Kitty molds - this made two small cupcake sized muffins and two Hello Kitty muffins. Lovely Recipe......so healthy and delicious. Thanks for posting it here Sarojini. Thank You Mel!